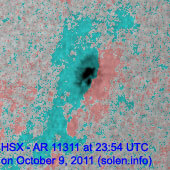 Last major update issued on October 11, 2011 at 04:30 UTC. 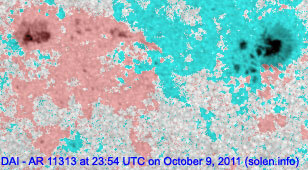 The geomagnetic field was very quiet on October 10. 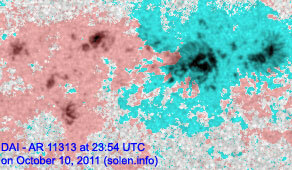 Solar wind speed ranged between 307 and 352 km/s. 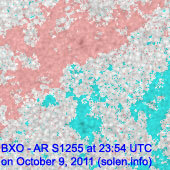 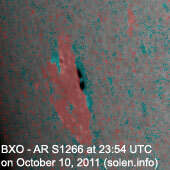 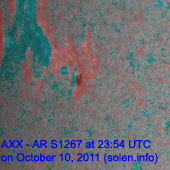 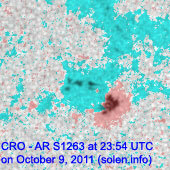 Solar flux measured at 23h UTC on 2.8 GHz was 126.4 (decreasing 3.0 over the last solar rotation). 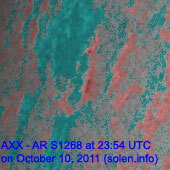 The planetary A index was 3 (STAR Ap - based on the mean of three hour interval ap indices: 3.1). 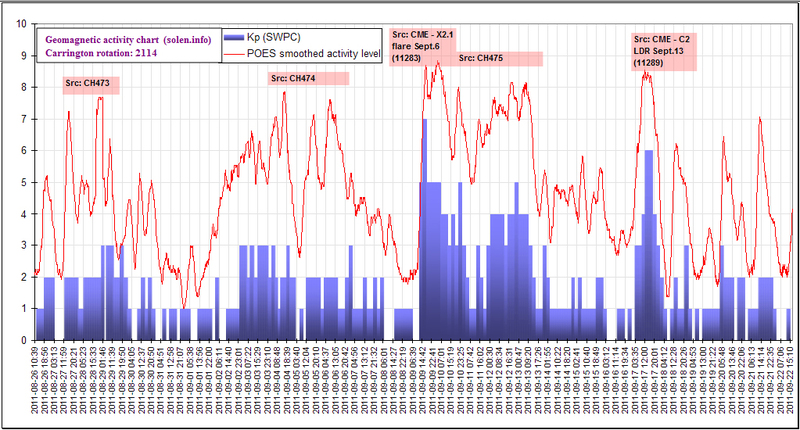 Three hour interval K indices: 11000111 (planetary), 11111211 (Boulder). 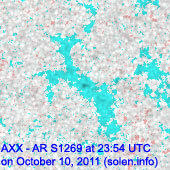 Region 11309 [N23W36] decayed slowly and quietly. 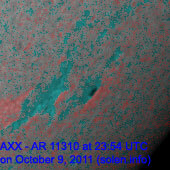 Region 11311 [S11W63] was quiet and stable. 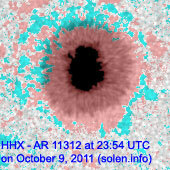 Region 11312 [N23W02] was quiet and stable. 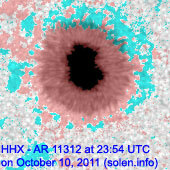 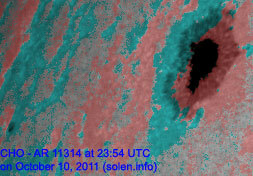 Region 11313 [S14E02] developed significantly as new flux emerged in the central part of the region. 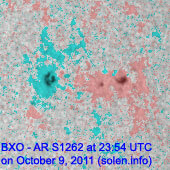 Flares: C3.8 at 07:19, C1.0 at 09:17, C1.4 at 11:42 and C4.5 at 14:35 UTC. 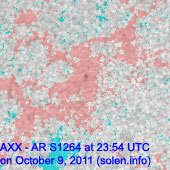 Region 11314 [N27E61] was quiet and mostly unchanged. 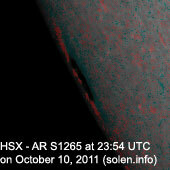 There's a small chance of a major flare. 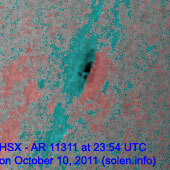 New region 11315 [N20E08] emerged in the northeast quadrant on October 9 and got an SWPC number the next day. 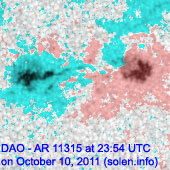 The region developed penumbra on both polarities on October 10. 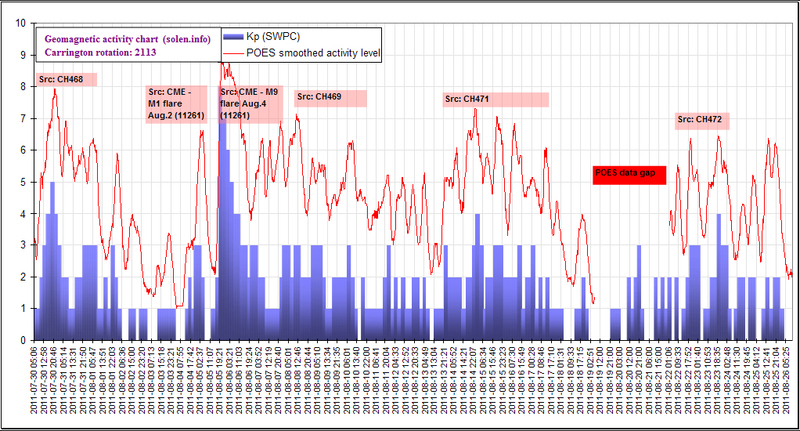 October 8-10: No obviously Earth directed CMEs observed. 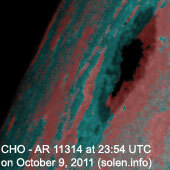 A trans equatorial coronal hole (CH479) will likely rotate into an Earth facing position on October 12-13. 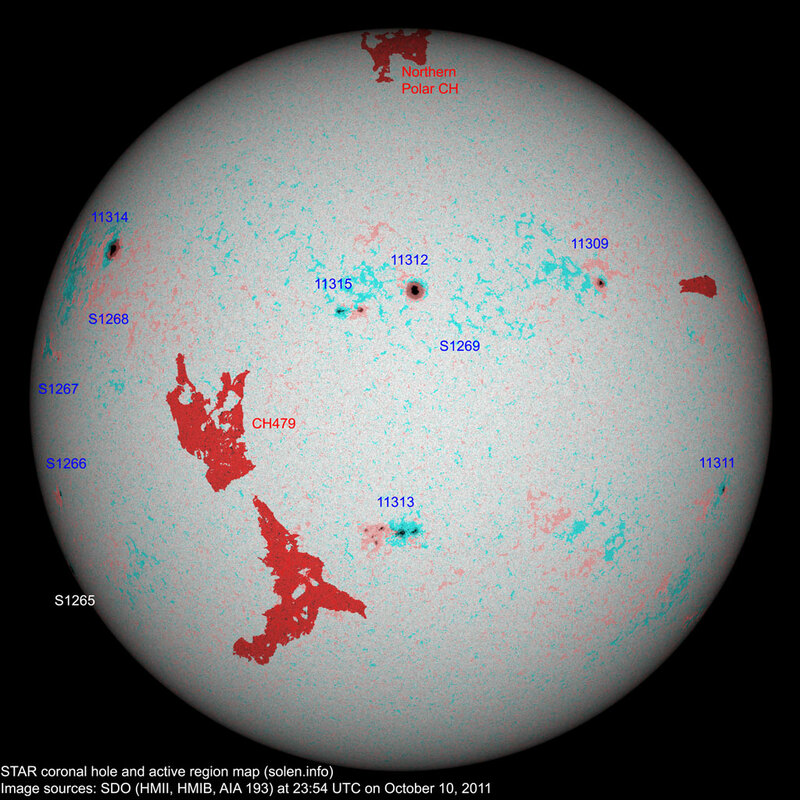 The geomagnetic field is expected to be quiet on October 11-14. 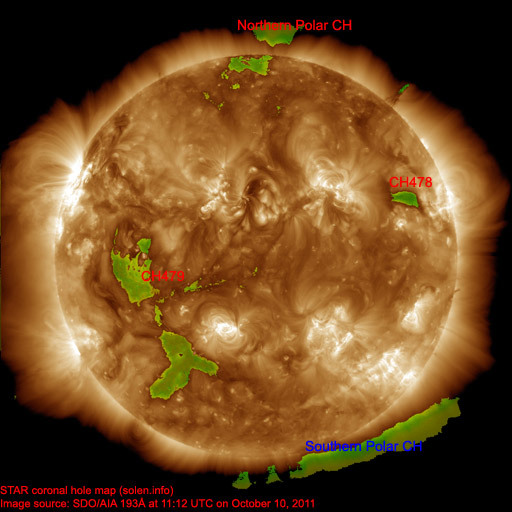 Quiet to active with a chance of minor storm intervals is possible on October 15-16 due to effects from CH479.